About fifteen years ago, when I was attending Concordia Seminary in St. Louis, I had the privilege of taking a course entitled “The Gospel and C. S. Lewis” from a man we called Rev. Rossow. Essentially, the course was a study as to what Lewis had to say about God and faith and salvation in some of his fictional writings. We tackled about half the Narnia books, the first two books in the Space Trilogy, a number of his poems, and Till We Have Faces. I’d like to say that I took the course because, as a Christian geek, I wanted to relive my childhood, but that’s not really why I took it. See, at that point, I had only really read one of Lewis’s books, namely The Screwtape Letters. I had never touched any of the Narnia Chronicles up until that point. I knew they existed; my little brother read them when he was a kid. I just never bothered. Yes, I’ll turn in my geek card when this article is done. At any rate, toward the end of the course, we were given a wide open project to complete. What we did was largely left up to us. We just had to engage in Lewis’s other fictional writings, the ones we hadn’t covered in class, in some meaningful way. I remember one of my friends set one of Lewis’s poems to music and then made the whole class sing it. Me, I went the more traditional route. 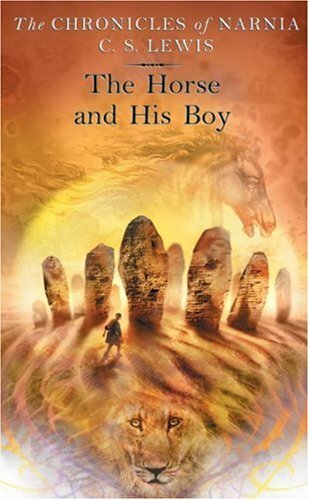 I decided to write a paper on Lewis’s The Horse and His Boy. For those of you unfamiliar with this one, it’s the story of a boy named Shasta. One night, he overhears a conversation between his father and another man. In this conversation, Shasta’s father reveals that he’s really not his dad and that he’s willing to sell Shasta to the man as a slave. Shasta decides to run away and he steals the other man’s horse. It turns out that the other horse is a Talking Horse named Bree, and the two of them decide to flee to Narnia. Along the way, circumstances bring them together with a girl named Aravis and her Talking Horse companion, Hwin. It’s a rip-roaring adventure, with lots of near misses, surprise twists, and even a tiny, tiny hint of romance at the end. But there is one thing missing: Aslan. That’s what struck me as odd when I read the book the first time. This is a Narnia book. That should mean that Aslan, the Christ-analogue of Lewis’s stories, should be present in some meaningful way. But as the two horses and their humans make their way to Narnia and the North, Aslan is largely absent. Shasta and Aravis and the Horses are seemingly on their own, forced to rely on themselves and their own wits to make it to safety. Aslan does make an appearance, but it’s only at the end of the book. At one point, though, Aslan has a long chat with Shasta about his adventure and reveals that, in truth, he’s been with Shasta every step of the way. Shasta never realized it. In all of those circumstances, Aslan says, he was there and Shasta never realized it. In other words, Aslan was acting as a God who hides. The sad reality is that we Christians often expect God to be out in the open. We expect Him to behave in big, flashy ways that make it obvious that He’s there and obvious that He’s at work. We forget that sometimes, God can be sneaky. He operates from the shadows. He nudges instead of pushes. He entices instead of drags. That gives me great comfort, because it means that God can be active even when I don’t see Him. He can work through and with mysterious and even mind-boggling means to accomplish His purposes. I think we need to remember that. Let God do His work in His way and in His time. And keep our eyes open. You never know where He might turn up. The sad reality is that we Christians often expect God to be out in the open. Yes, yes, and yes: I agree so much with this statement. I’d encourage everyone to read Otte’s recent series on mountaintop experiences over at his blog for further insight on this subject. I’ve met several people in the last year who’ve told me about “seeing Aslan,” or having moments in their lives when God called them to a specific purpose and put a mission on their hearts. I think that’s fantastic. But while I’m secure in my salvation, and I’ve had times in my life of steadily drawing closer to Christ, I’ve never “heard the calling,” “felt the presence” or seen any “divine graffiti appear” (as Chris Rice so eloquently puts in “Smell the Color 9”). Sometimes I can look back and see the path He blazed for me (as you mentioned with Shasta), but in the midst of it I have to cling to faith without hindsight or foresight into the outcome. I want fiction to address the condition of faithfulness in spite of silence, of peace in the midst of storms we’re not rescued from, of the kind of world the Hebrews lived in when they told the king that though God had the power to rescue them, He could chose not to, and they’d still obey His Word. God is not in the machine: He should live in each of us. Instead of being preoccupied with why He isn’t doing X for us, perhaps the question should be: why aren’t we, as His body, doing something for others? Thank you for reminding me of a truth that’s been obscured in my life lately — that God may not appear as a pillar of fire perhaps, but His Hand is there whether I’m consciously aware of it or not. Gloria Deo! I get misty-eyed just thinking of that scene in the book. So profound! It would be nice–just once–to hear a loud voice or see some skywriting or something so I didn’t have to stumble around in darkness all the time. I mean, it’s great that in the end, the boy gets to have a convo with Aslan, but God doesn’t do that for us after we’ve been through journeys and trials. He is still silent. Cold comfort when you’re creeping through a dark place. It hurts, and it’s ridiculously awful. The question can become, “Is God really good?” Suffering is awful business. It can take years for Him to straighten us out to the point we are aware of how good He really has been to us, and that in the face of insane things that seem to contradict His goodness. I hope it won’t take years for you. The scene quoted I found very comforting. I’m no expert on how God leads us and what that feels like, but there are indeed times He seems like He’s hiding. Where was He when six million Jews burned to death at the hands of the Nazis? I’m encouraged by your article to finish the series. My gf used to read them to me, but we didn’t finish the Horse one or the rest. Francis A. Schaeffer has a book titled The God Who is There, and another, He is There and He is Not Silent. The way nature is, you’d think maybe God would be extravagant in leading us, too. Subtle, this One. “Could it be You make Your Presence known so often by Your absence? Could it be questions tell us more than answers ever do? Could it be Someone would really rather die than live without me? It may not feel like it. At all. But we are all those simple folk. Ah, lovely analysis of my very favorite of the Narnia books. Thank you! Speaking of “coincidences,” I just started a Bible study group Tuesday that is very much about hearing from God (can’t remember the author or title). The speaker said we should expect to hear from God, that if God was willing to die for us of course he wants to talk to us. We had a couple of sermons about guidance a few years ago that I found extremely helpful (unfortunately after I had spent months worrying over job plans). I know he said he based a lot of it on a book called Guidance and the Voice of God by Phillip Jensen and Tony Payne. The basic gist was that we make it far too complicated.